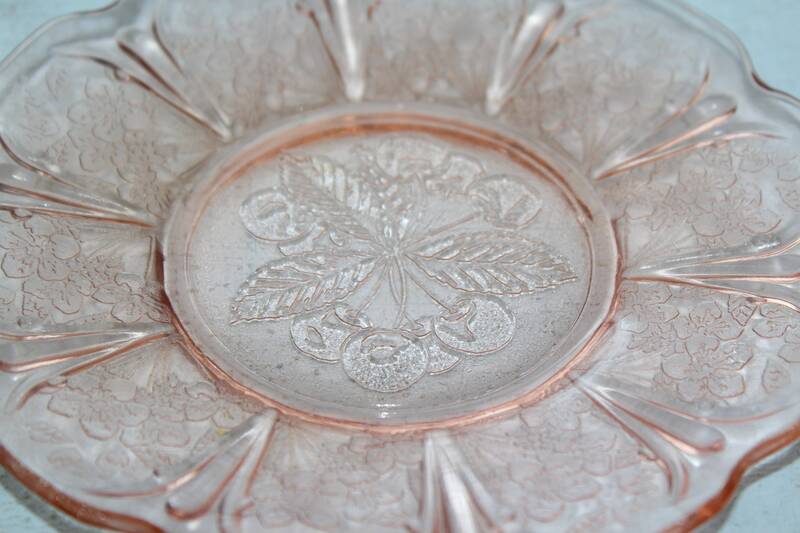 Vintage 1930s pink depression glass Cherry Blossom sherbet or bread and butter plate, in excellent condition. The plate measures 6". 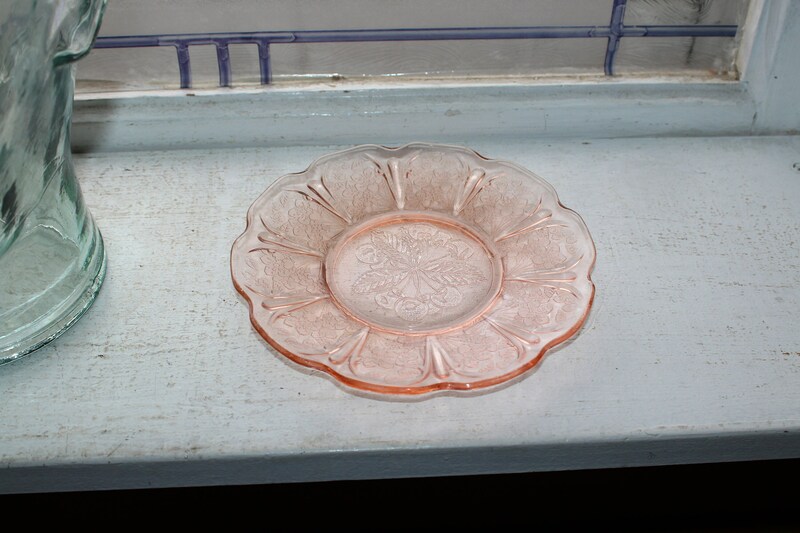 It has no chips or cracks, great for use or display. 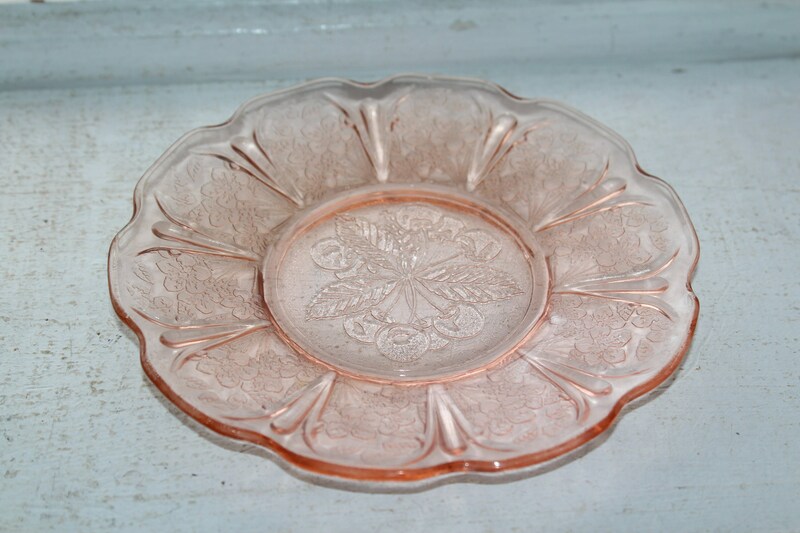 These are all original 1930s Jeannette Glass pieces, not reproductions. I also have other pieces of this pattern available in my shop. Enjoy!